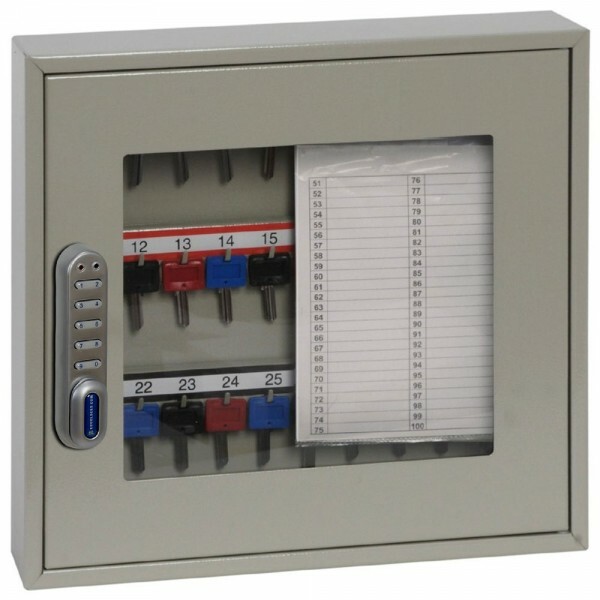 The Phoenix Keysure clear view key cabinet 30 elec is a key cabinet with an 10-digit electronic lock which allows the user to enter 4 digits codes, suitable for storing up to 30 keys. This safe has a transparent window and allows for the keys to be seen without having to open the safe, thus making it ideal for use in controlled environments. 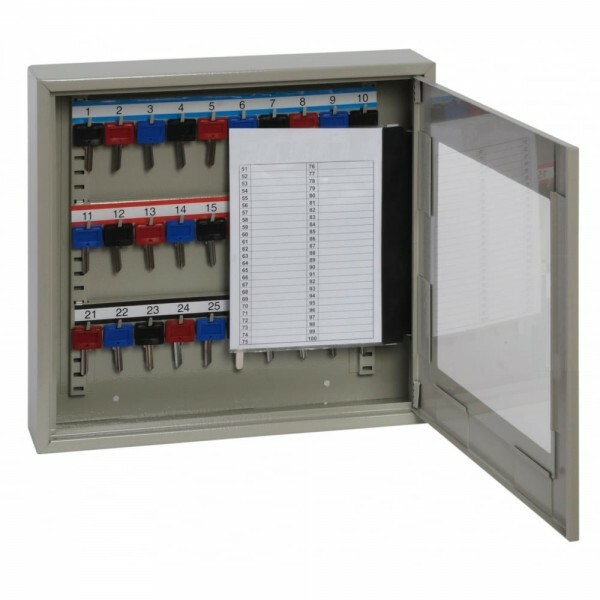 It comes with adjustable hook bars, Keys and labels which ensure there is maximum indexing of keys stored. The Phoenix Keysure clear view cabinet has pre-drilled holes enabling it to be fixed onto walls and has powder coated finish to ensure its durability.